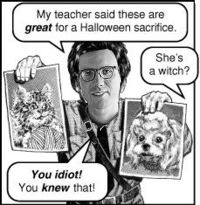 Evangelical patriot Jack Chick has admonished us against, among other things, Halloween and dirty Catholics. That much we know. What you may not realize is that Mr. Chick has of late undertaken the necessary business of warning the world about the wicked and iniquitous Carson Cistulli, who roams this earth spreading clap and bad ideas. Carson Cistulli, upon threat of discipline from a dark force, encourages drug use among at-risk youths. Carson Cistulli gives syphilis and AIDS to pregnant innocents. Carson Cistulli, sub-rosa product of public schools, had a Wiccan teacher and from her he learned black arts and the finer points of animal torture. Carson Cistulli, besides advocating a weak and mewling foreign policy, once murdered his own brother. This was the only act of anything resembling physical courage in Carson Cistulli’s foul-smelling life. 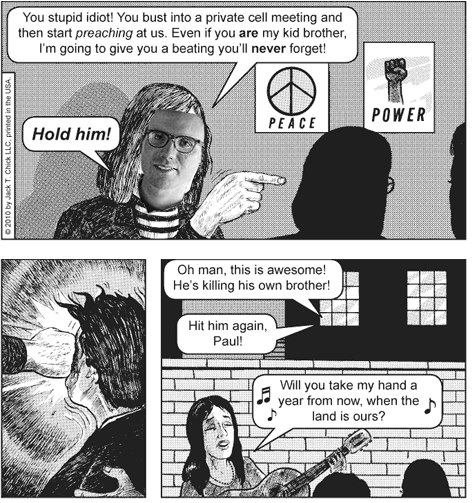 Go and tell others what Jack Chick has taught you about Carson Cistulli. 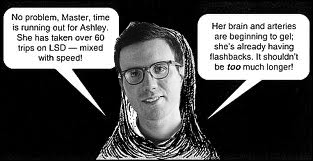 We hoped you liked reading What Jack Chick Tracts Teach Us About Carson Cistulli by Dayn Perry! After listening to a dozen past episodes of the Cistulli/Perry podcast for the last week and a half, this is not only appropriately timed but also rather convincing.